Stefan spent a lot of time with Valerie on The Vampire Diaries Season 7 Episode 5. Caroline gave her boyfriend permission to do so, though she quickly realized this may not have been the best idea. Stefan, meanwhile, learned a shocking secret about his past with the Heretic. 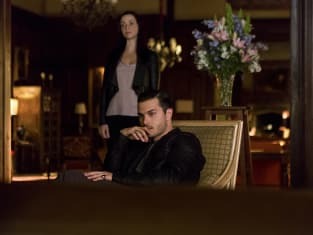 Elsewhere, Damon tried to be on his best behavior in order to honor Elena's memory, while Enzo and Lily both felt different emotions while awaiting the arrival of Julian. Bonnie, meanwhile, confronted Alaric about The Phoenix Stone because, let's face it, that thing is crazy dangerous! Use the video above to watch The Vampire Diaries online and to learn how these events transpired now.